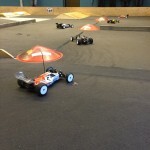 I raced at the VBC-cup Rd2. This is the hardest series in Sweden. I started out fine in 7th place after the first Qual round, 9th place for second round, and then in 12th in the 3rd round. Starting in B-main ending up a 16th in total. I placed 3rd in the Junior final. – Q1 Starting from 5th spot on this tight and technical track is not ideal, but I knew that a clean drive would get me in range of a decent time. The start went okay but I was not able to pass. Later on I made some mistakes and I ended up in 5th place. – Q2 My mission for Q2 was to keep the car on its wheels, and this time it went a almost perfect except I got rear-ended and flipped on a cone, causing me to lose about 3 seconds. I ended up in 3rd place. – Q3 Once again I was struggling with traffic and did not drive as good as I needed to get a higher starting position in the finals. I was locked in with starting. No 5 for the A-main. – A1, A2, A3 🙂 I finished in 5th place in all Finals 🙂 One thing that was good to see was the consistency. My fastest final vs. my slowest was only 0.8 seconds apart. So in conclusion, my driving for the the day was okay but not great. This is fine though, because the Scorpion support is awesome and we are so happy to be apart of the Team!! 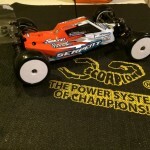 Please check out the Shorty Li-Po and the Brushless motor I’m using! 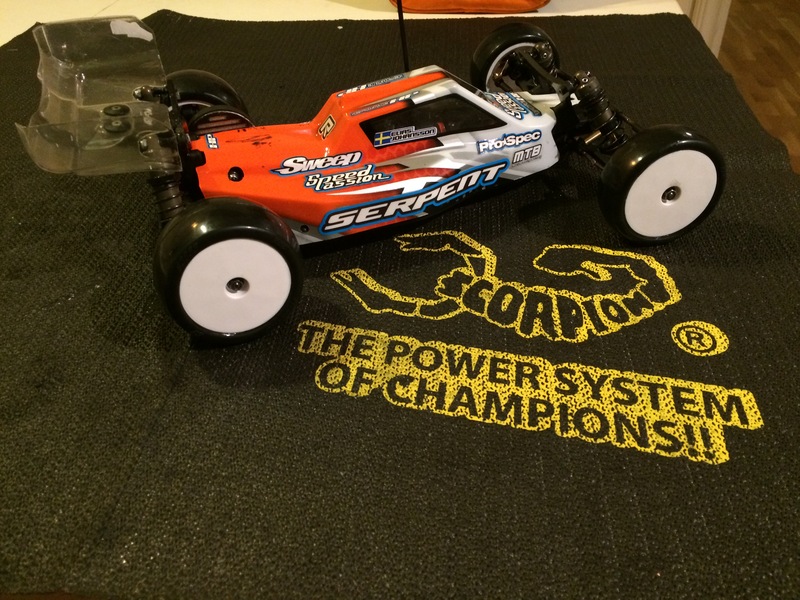 Scorpion Competition Power Pack (2S 4200 mAh) – Platinum Series & Scorpion RS-3420 7.5T. 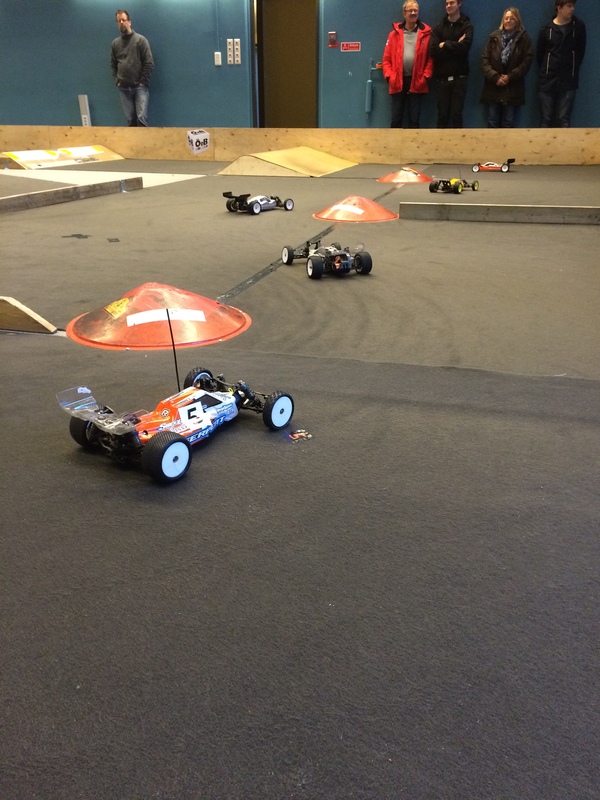 Also a big thanks to HP Sweden and BlueBird! 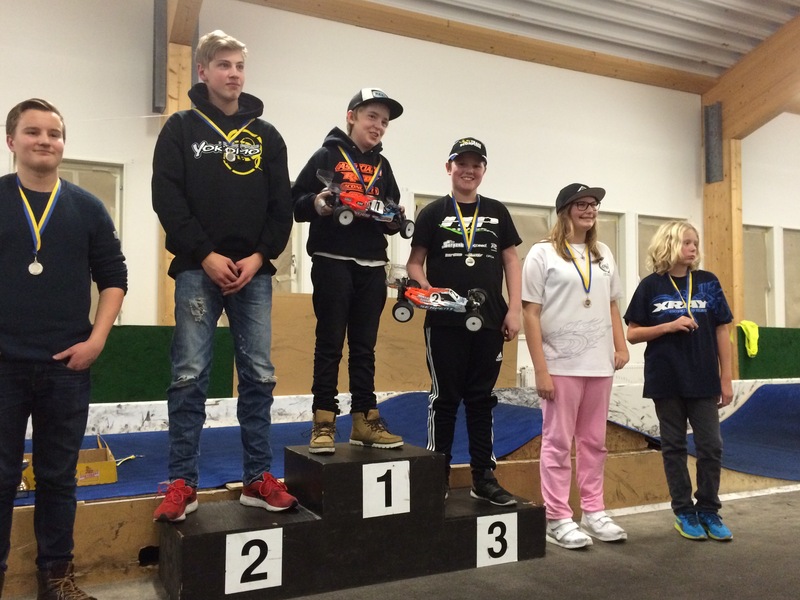 Podium + me as the best Junior driver in the VBC-cup Rd2. This is the hardest series in Sweden. Elias started out fine in 7th after the first Qual round, 9th for the second round, and in 12th for the 3rd round. Starting in B-main and ending up with 16th in total. It’s clear that we need a car with more front grip than the current one has, as the car wont steer sufficiently in the tight corners. 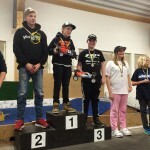 He placed 3rd in the Junior final.